The Strappt App is a mobile strapping solution which utilizes the knowledge and experience of an APA accredited Sports Physio to educate and assist in the art of joint strapping for injury rehabilitation and prevention. The Strappt App will keep you in the game wherever you may need it - at work, at home or on the sporting field. The App includes 12 educational videos covering every major body part, including: Ankle (Achilles Support & Ligament Strain), Back (Posture Support), Elbow (Hyper extension), Foot (Planta Fascia), Hand (Wrist, Thumb & Fingers), Knee (Medial Ligament, Patella Femoral & Patella tendon) and Shoulder strapping for Women & Men. MySportsTape is a premium Sports Tape and Sports Medical supplier to sporting clubs and participants throughout Australia. We provide quality products at competitive prices and assist our partner clubs through the provision of sponsorship and support. 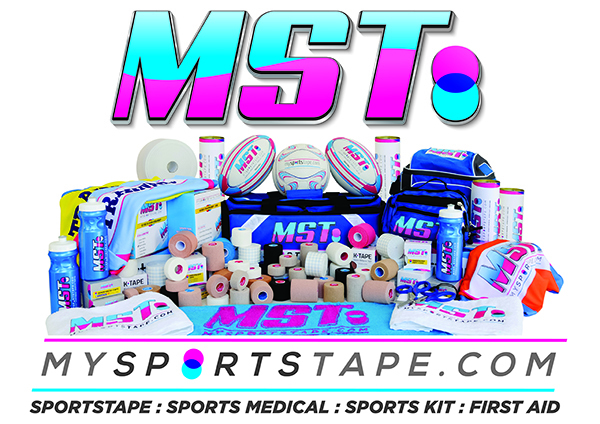 MySportsTape is now the preferred Sports Tape and Sports Medical supplier of The NSW Rugby League, the Brydon’s NSW State of Origin Team and Touch Football Australia amongst others, and we have proven results in being able to operate efficiently and effectively with these large sporting organisations. MySportsTape products are of the highest quality and we are certain that you will be satisfied with the structure, adhesion and packaging of our products. We do not stock inferior products and we will never stock inferior products. You can visit myportstape.com to find out more and to purchase any of the products that have been used in the Strappt App.